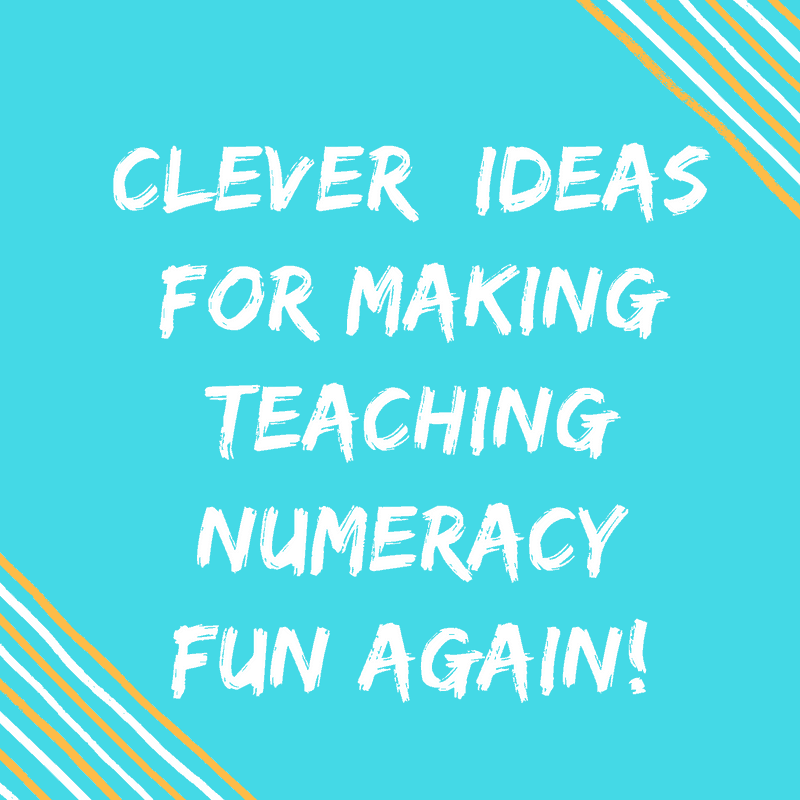 Clever Ideas For Making Teaching Numeracy Fun Again! 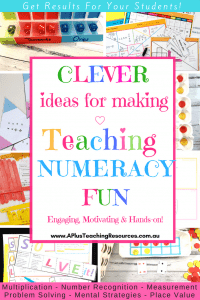 Home / Clever Ideas For Making Teaching Numeracy Fun Again! Many teachers find planning and teaching numeracy a little stressful. They often feel more confident and comfortable with teaching and preparing literacy lessons. 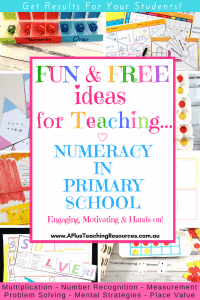 Here is a collection of resources for teachers, assistants and home schoolers to help make planning, assessing and teaching numeracy enjoyable. These hands-on ideas are motivating, engaging and more clever alternatives to the usual teacher worksheets. They are perfect for taking the fear out of learning and putting the JOY back into teaching numeracy! Use these resources and videos when working on all areas of maths, including: number concepts, patterns and algebra, fractions, decimals and percentages, angles, units of measurement, money and financial mathematics, counting, place value, operations, location and transformation, problem-solving, chance, shape, graphs and data, mathematics investigations, numbers and more. 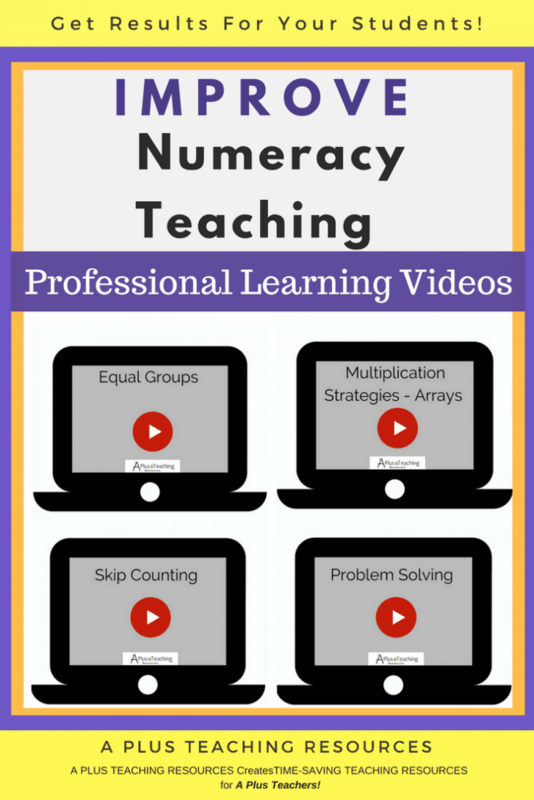 These teaching numeracy resources, activities and videos will show you how to break down main numeracy concepts into simple easy to implement classroom ideas that will help you to teach your students and get results! Don’t forget to bookmark this page and come back often as we add new teaching resources regularly! 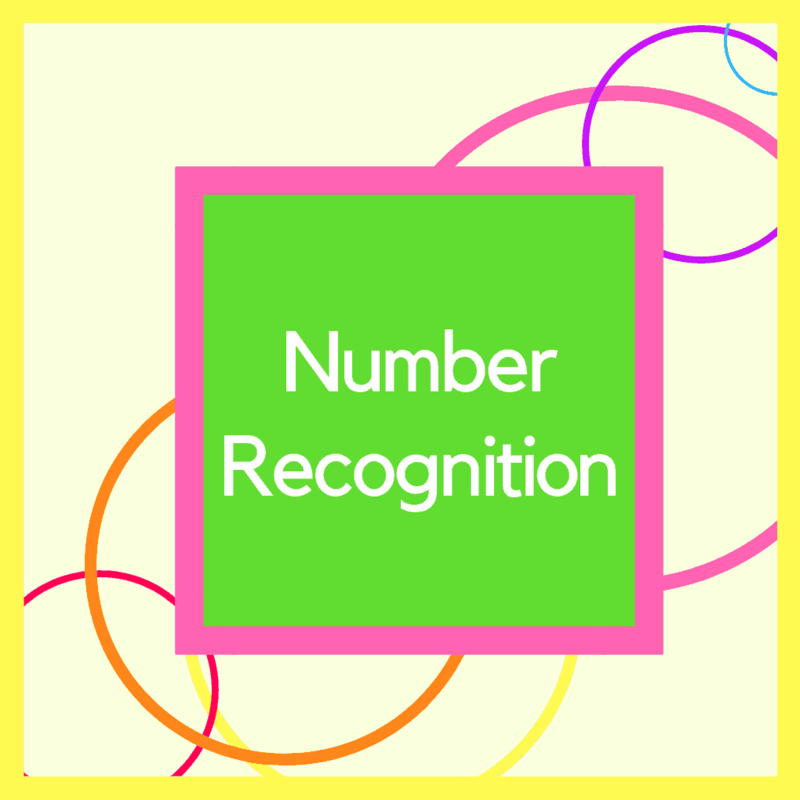 Try Teaching Number Recognition with these engaging hands-on activities, teacher resources and free printables next time you’re planning and teaching numeracy, for excellent results for your children! 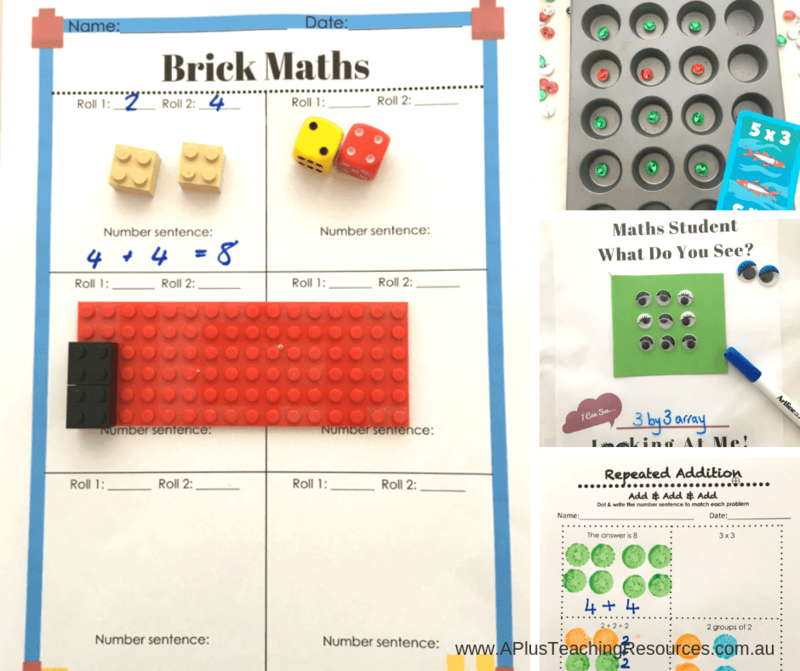 Teaching Number Sense is a key component to any maths program and when teaching numeracy, teachers should be aware that student achievement levels are directly linked to number sense. Take a look at these activities and ideas for your classroom. The Think board template is a great tool for teaching numeracy. Using maths think boards will help your students build deeper levels of understanding in a wide range of concepts. Help your students, understand maths concepts with our maths think board templates and to classify, organise, group and sort ideas and communicate their understanding more effectively. 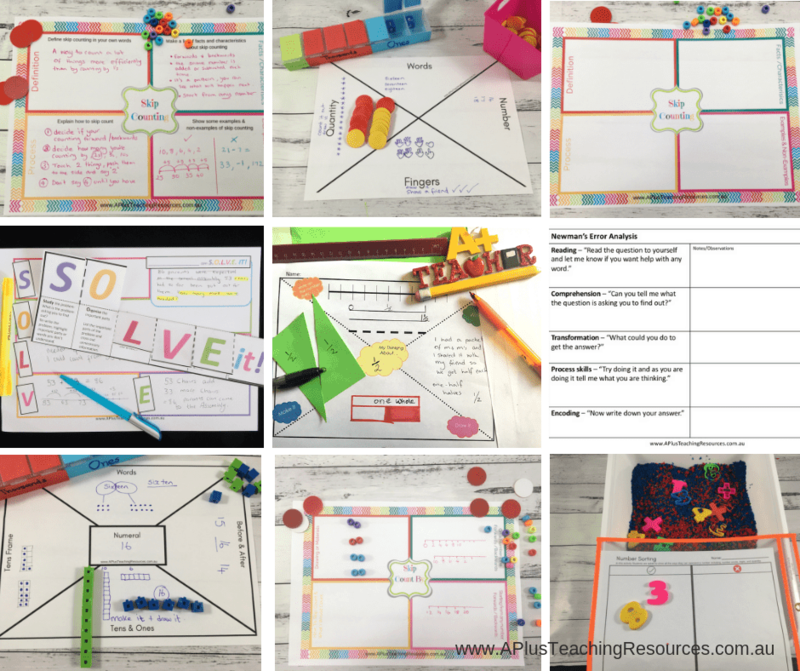 Find some Free printables and great ideas to use in your classroom in this post. 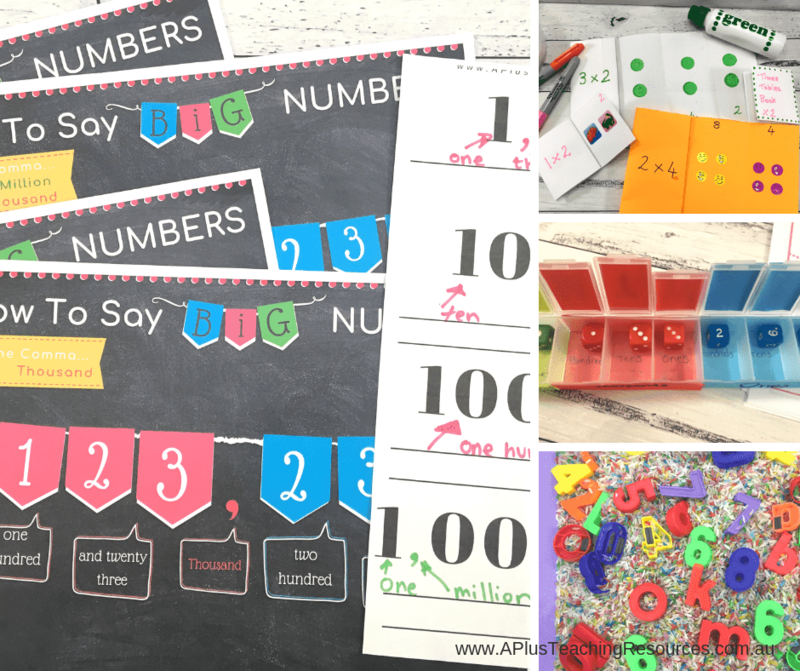 Quantity – tens frames, counters, MAB, fingers, unifix cubes, number line, tally, number sentences. Muffin tin maths is a fun activity to help your students build recall and fluency of maths facts. We used this idea as part of our guided maths rotations as a way to build fluency and recall of multiplication facts. This classroom activity also encouraged students to use their range of Mental Maths strategies to solve a range of different maths problems. If you want to save time prepping, cutting photocopying and laminating your maths activities then this muffin tin maths activity is for you! 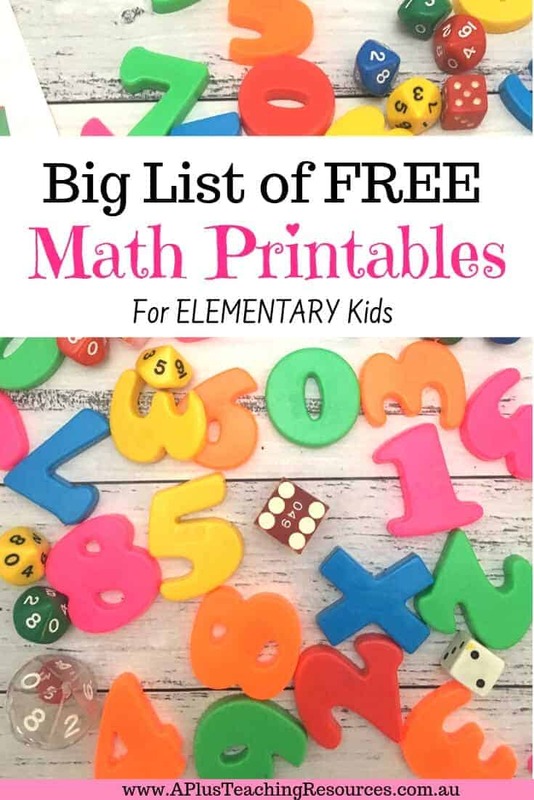 Download the Free activity ideas sheet and give this awesome idea for Math Centre , Homeschool or Homework a go! Teaching Multiplication and learning multiplication facts can be a difficult part of teaching numeracy. Fortunately, there are a range of simple, effective strategies that we can use to help us teach the multiplication facts so that every student can be successful! Teaching Multiplication strategies empowers students to solve problems and carry out calculations with confidence and understanding. Although memorization of number facts is desirable, it should not be the only teaching strategy, and students need to be taught strategies to use for when the memory fails! Take a Look At our Videos & Activities and get results! 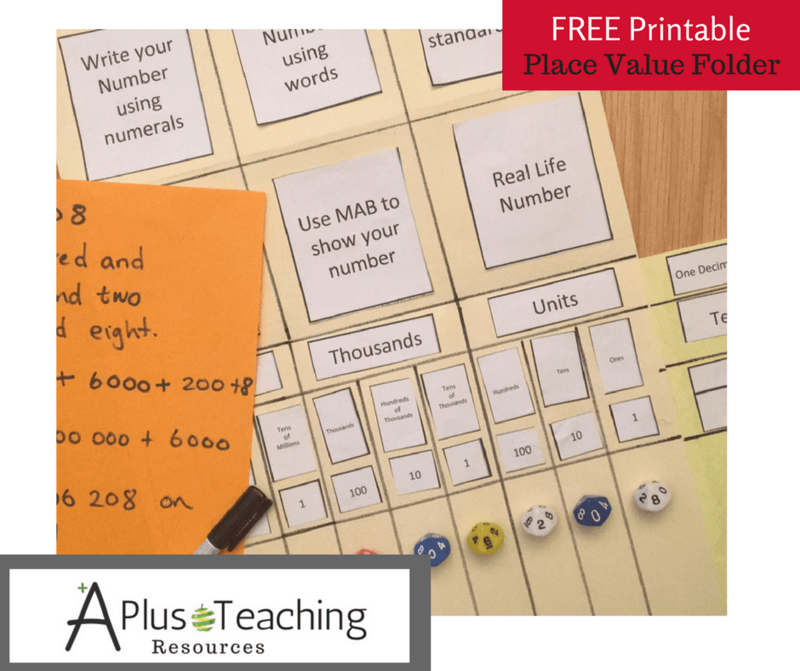 Download this FREE template to help your students practise their Place Value skills. This simple Place Value Folder is a great addition to your Guided Math lessons as a self paced, differentiated Math rotation. 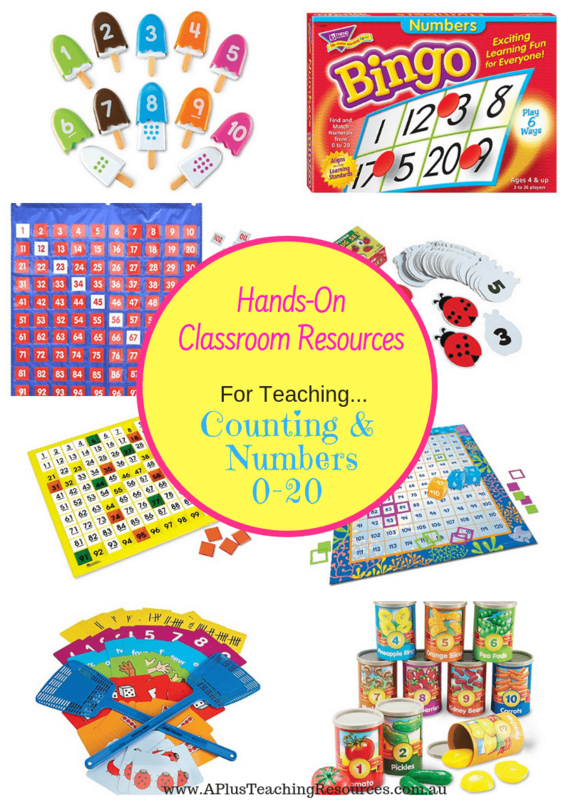 Students will practice connecting number names, numerals and place value as well as expanded notation in a fun motivating dice game. Add this great idea to your collection of teacher worksheets! Saying big numbers can be difficult for kids, especially numbers with 5 or more digits. You probably have these students in you classroom, they are the ones that will say big numbers in a string, “seven, one, three, two, six, five” instead of seven hundred and thirteen thousand two hundred and sixty five. Help your students become confident at saying big numbers with this cool trick! 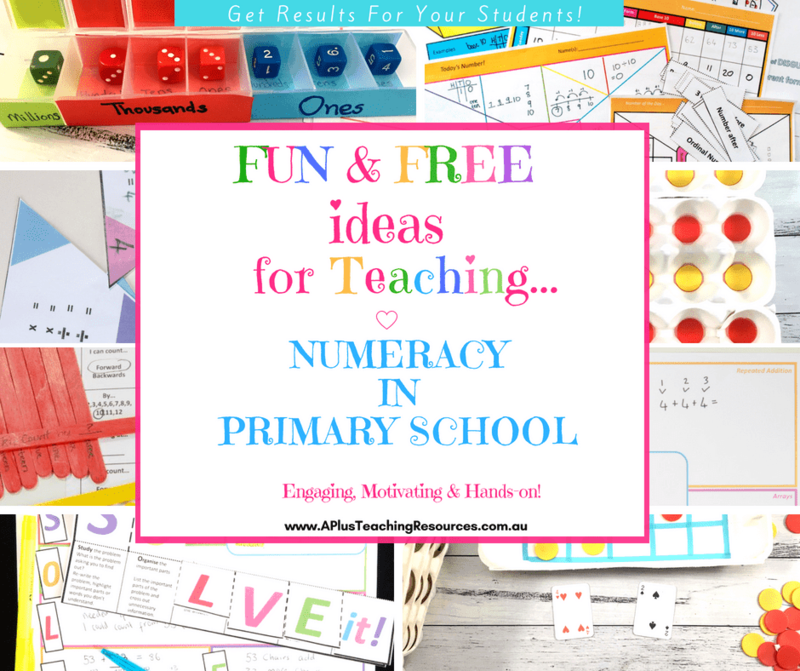 Scroll to the end of the post for your FREE printables for teaching numeracy. Place Value Dice Activity – Dice games are so much fun and perfect for math rotations and practice centers. Try this cool medicine box hack and your kids will be reading 5, 6, 7 digit numbers in no time! Helping students learn fractions can be challenging especially when kids them so much! 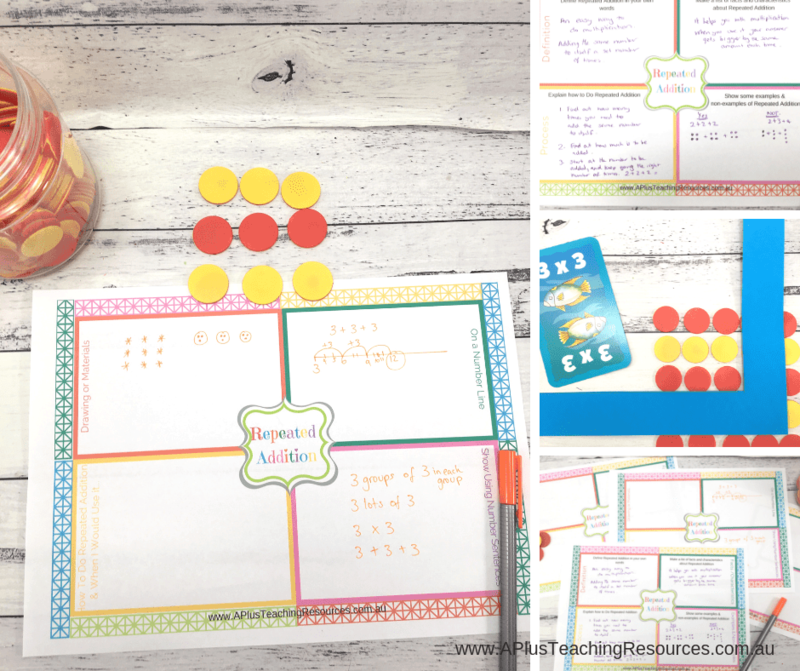 Do you use commercial Fraction Mats To Teach Fractions? Well here’s why you should STOP using them! Find out how commercial Fraction Mats are confusing your students! There are so many resources and hands-on manipulatives to help students learn fractions, but do you find that your students still ‘don’t get it’, even when using ‘Hands-On’ teaching aids? 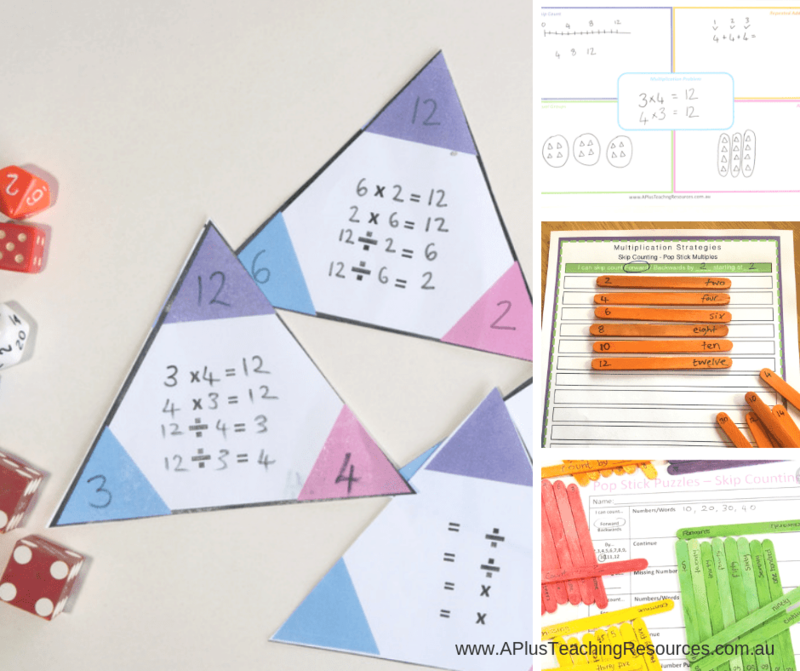 Our Teaching algebra top 5 tips will help you create lesson plans and activities to teach more than patterns! Try Using Newmans prompts to help your kids become confident at solving math problems These 5 steps will skyrocket your students problem solving success! Children’s Picture Books For Teaching Measurement – Measurement can be really fun and hands-on but it can be quite tricky to teach conceptually. I sometimes find it difficult to explain the ‘ins and outs’ of measurement to my kids so these children’s picture books are a perfect resource to help them build a deeper understanding of all things measurement! Measurement moderation is an important part of teaching numeracy. Take a look at our Measurement Moderation Tasks for Kindergarten. Teaching Non-Standard measurement helps students learn how to measure. Unfortunately non-standard measurement is a concept can either be taught badly or missed out altogether. Get some great tips for teaching measurement. Math anxiety is real especially for people who hate math. 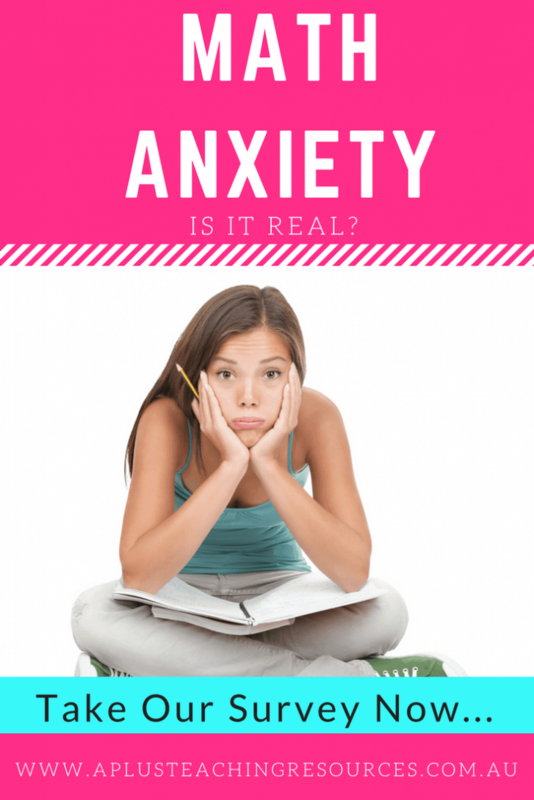 Use this math anxiety survey to help you support your students when teaching numeracy.